The two most popular music festivals in Austin are South by Southwest, which happens in March of every year, and the Austin City Limits Music Festival, which is held in October each year. For music lovers, the time in between festivals can seem like an eternity, but there are several other Austin summer music festivals that fans from all over can enjoy. Check out the following festivals that help Austin keep its “Live Music Capital of the World” status throughout the year and follow the Xenia Events blog for information about how you can fill your summer with live music from all kinds of artists. This year’s Urban Music Festival in Austin will be held March 29th and 30th and will feature up and coming, as well as classic, R&B artists. If you’re a fan of jazz, hip hop, or the blues, you can get your music fill over this weekend with several local and national artists performing. The Texas Relays are also held this weekend, so if you’re not only a music lover, but a sports lover, too, check out both and have a jam-packed weekend of entertainment and excitement! The Old Settler’s Music Festival has paid homage to Americana and roots music since 1987 and the 2019 festival is shaping up to be an exciting one. National touring artists such as Brandi Carlile and Jason Isbell are featured, along with other local and regional artists. This mid-April festival is not just about music, though – you can also camp, buy arts and crafts, eat delicious food, and let the kids participate in activities throughout the day. The centrally-located Vic Mathias Shores is home to the Austin Reggae Festival, the best local music festival for reggae, dub, roots, and ska music. For over 25 years, the Reggae Festival has hosted many national and international reggae artists, and this year’s festival in April will be no different. The Reggae Festival also helps to feed hungry Central Texas families, so donate a canned food item and help your community while enjoying the cool, reggae vibes! Austin’s classic Pecan Street Festival takes over Sixth Street (formerly known as Pecan Street) in the heart of downtown Austin’s entertainment district for another year of music, arts and crafts, food, and fun! The Pecan Street Festival is held in spring and fall, so you’ll have more than one opportunity to come out to this FREE festival and enjoy local music, unique food options, and arts and crafts from international vendors. Even the people watching at the Pecan Street Festival is entertaining! 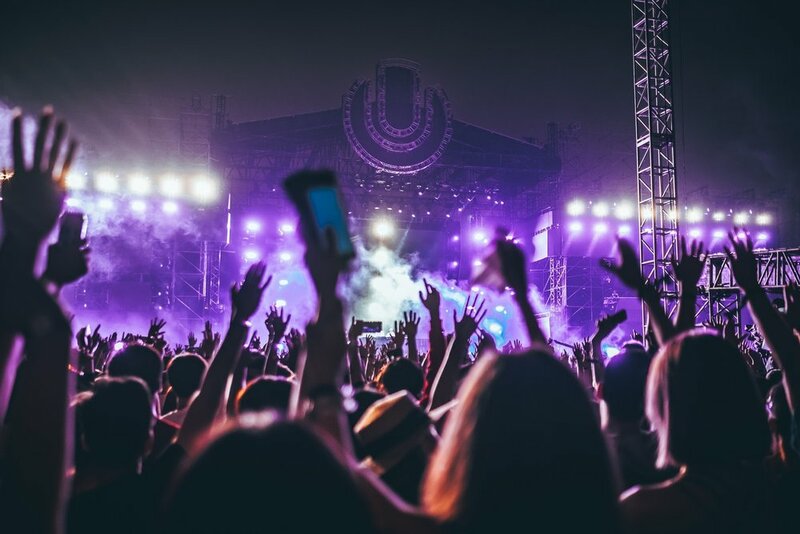 If you’re searching for music festivals in Austin this summer, you’ll have no trouble finding an event that suits your needs. Whether you’re into folk, reggae, rock, or country music, Austin’s summer music festival schedule will keep your summer exciting! Make your plans now and check out Xenia Events’ 2019 event and travel packages here!